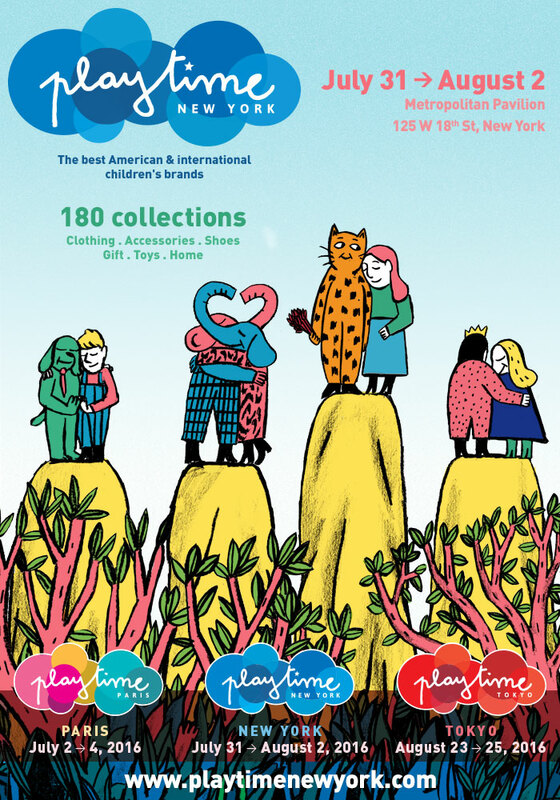 For its 13th edition, Playtime New York is thinking even bigger! 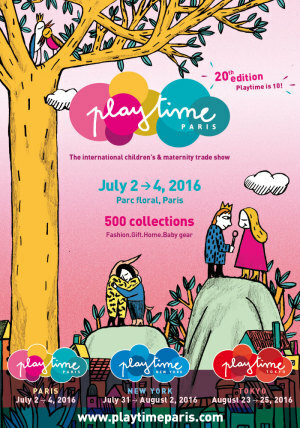 Urged on by strong demand from brands interested in joining the event, Playtime has decided to expand its space by adding the neighbouring Altman Building to the current Metropolitan Pavilion. 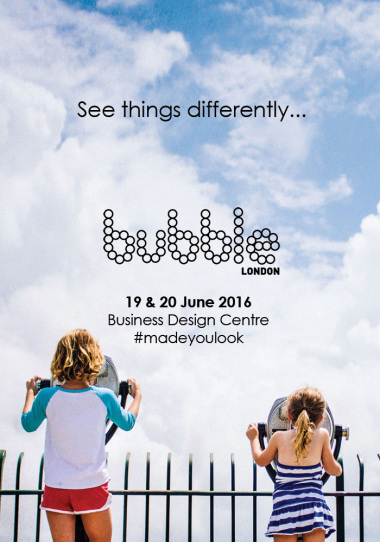 Over 10,000 square meters of extra show space, therefore making Playtime New York’s N°1 designer’s trade show. 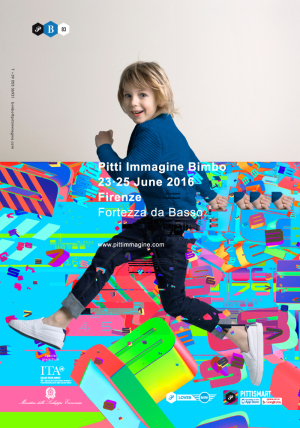 A total of more than 180 brands are expected: that’s a +20% increase since the last equivalent period of Summer 2015. This richer selection will be putting the spotlight on brands with strong creative identities. Here’s a quick overview of what we have in store for you! New exhibitors: affenzahn, andorine, antebies, ballon rouge, benita kids, beru kids, bien jolie , bit’z kids, blu & blue, chic smart, elly la fripouille, fäfä, fox + sparrow, frenchy yummy, gentille alouette, go gently baby, helga solrun, holly hastie, infantinum victoria, junona, kalinka, kid+kind, lali kids, lazy francis, lexypexy, lion of leisure, little auggie, miss nella, munster kids, natty, noeser, not rational, peradi, rara-chan, riding unicorns, rosie pope baby, sproet & sprout, telegraph ave, the animals, the blueberry hill. Returning brands: american outfitters, bleu comme gris, bonheur du jour, boy+girl, caramel, devon’s drawer, dinui, douuod, emile et ida, ever bloom, horses of the wild, ketiketa, kidscase, le petit lucas du tertre, little creative factory, little miss gallia, kin studio, loud apparel, louis louise, lulaland, maw, manuela de juan, mini rodini, molo kids, mon marcel, motoreta, milk on the rocks, notch mini, noé & zoë berlin, oaks of acorn, oeuf, omamimini, omibia, paisley magic, plan toys, rag tales, raspberry plum, rose pistol kids, sisiouiouiyesyes, the bonnie mob, tia cibani kids, tiny cottons, tiny little kids, tuchinda, tutu du monde, valmax, versatil-evioleta e federico and wolf and rita. Every season, our trendsetter Julie Malait decodes and sets to images the currents that will permeate children’s wardrobes. For Spring/Summer 2017, let’s pretend we’re heroes navigating another dimension, tropical explorers or maybe just retro-kitsch aficionados. Cosplay: Teleported into another reality, children are turned into video game characters straight out of Final Fantasy or Star Wars. In their futuristic and minimalistic outfits, designed to endure sand deserts or dodge meteorites, they imagine wild adventures in other galaxies. Refresh: In the shade of tropical vegetation, under the giant leaves of a luxuriant jungle, children are playing hide-and-seek as they rediscover the joys of life in the wilderness. Their wardrobe takes on the form of a botanical garden where exotic fauna and flora invade their summer wardrobes. Replay: This summer will be deliciously regressive and optimistic. It’s all about reinventing the classics of 70s casual chic and having a blast with the exquisite palette of macaroon and sorbet tones. It’s like being in a Wes Anderson movie where children have fun with the codes of retro kitch: fantasy is de rigueur! To illustrate these trend spaces, Playtime has commissioned artists to present installations specially created for the event. Wendy Letven is a visual artist who creates installations and paintings consisting of a wide vocabulary of contrasting calligraphic lines, shapes, symbols and patterns floating weightlessly in space. Her brilliantly colored shapes are interwoven to form larger entities and fluid assemblages that explore metaphysical themes concerning the forces of nature and time. Inspired by everything from sub atomic particles to computer networks and wave patterns, her installation “The Language of Form” will explore the similarity and variety of the building blocks of the visual world, challenging our perception of two and three dimensional space… and drawing a pathway to the sky! Yura Osborn is an illustrator, textile designer, and window display artist living and working in Brooklyn, New York. She was born and raised in Tokyo by an American father and a Japanese mother. With both parents working in creative fields of business, she has always been around art. In 2001, she moved to California to study at Idyllwild Arts Academy and later went onto get a BFA in Fine Arts from the School of Visual Arts. She hopes to make everyone smile and make your day a little brighter with her art. Saki Sato (b. 1987) creates sculptural installations and short videos. Her installation work creates playful environments using simple materials and solid colors. Often installed as a tableau, her work invites viewers to wander into the scene and immerse themselves in her universe. Her subject matter ranges from the mundane, like an umbrella, to the imaginary, like the friendly earthworm characters she is creating for Playtime New York. By blending unremarkable objects with extraordinary ones, she hopes to imbue our everyday reality with a little bit of magic.